Another day, another supposed leaked photo of the upcoming Samsung Galaxy S III. After the initially convincing leak yesterday, today’s leak supposedly comes from someone working for Samsung. 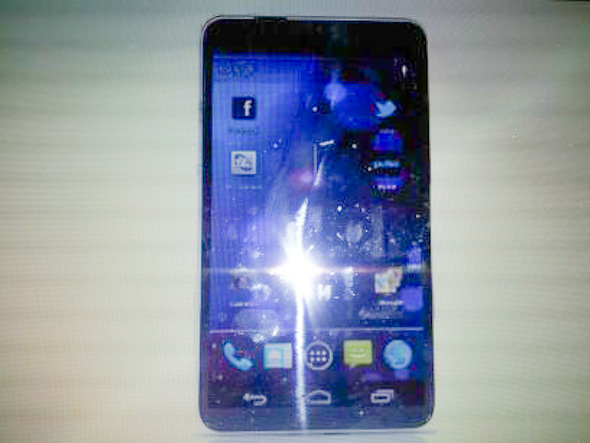 The badly taken picture you see above, a result of taking a camera phone picture of a computer monitor with flash, comes with some leaked specs: 4.7-inch HD display, quad-core Exynos SoC, 8mm thick with 2,250mAh battery, 12-megapixel camera and a ceramic-like back just like the one found in the HTC One S.
Also supposedly the device will come with two different skins, Samsung TouchWiz or stock Ice Cream Sandwich.